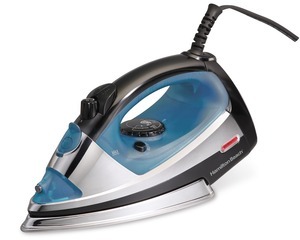 When you're looking for a crisp, wrinkle-free look, Hamilton Beach Irons heat quickly and provide the powerful steam performance you need. Choose from a variety of options, from basic models to irons with high-tech electronics. Look for convenient features such as lighted controls, auto shutoff and a retractable cord for easy storage -- or one that can even be used to steam hanging clothes and drapes.